The video below introduces the E-Trakka profiles of the horse’s Scenic Blast, Pinker Pinker and No Wine No Song just before they won major world horse races. 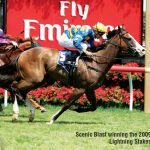 These horses won a combined total of 6.1 million dollars with Scenic Blast winning the King Stand Stakes in the UK and Pinker Pinker the WS Cox Plate. By showing the elite readings the viewer can get an understanding of how you can identify and measure elite equine athletes. Never before has this information been public, it shows the potential of 2020 Racehorse Training to the general racing industry. Below is a demonstration of the 2020 Racehorse Training methodology in practice, using a comparison of two horses, a successful stayer and a slow horse. By seeing this video you should then understand what is meant by 2020 Racehorse Training. This video more demonstrates the process of 2020 rather than intensive facts. There will be many more videos clarifying talent vs lack off but this is a good introduction to what possibilities there are with 2020 and E-Trakka. The next video, The Key Points of an E-Trakka reading will take you further into this amazing world of fitness analysis. 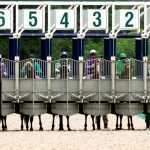 The download “2020 The Key Assets of an Equine Athlete” is an important first step in understanding 2020 Racehorse Training and E-Trakka readings. It will guide you through a step x step thought process to help you better understand the physiological assets of a racehorse, and how they are interwoven in E-Trakka tracings. The first step to understanding how and why equine performance (and any athlete’s ability) can be measured and understood is to learn what key physical characteristics create and shape an athlete. They are represented in this document as – click here to download. 1. 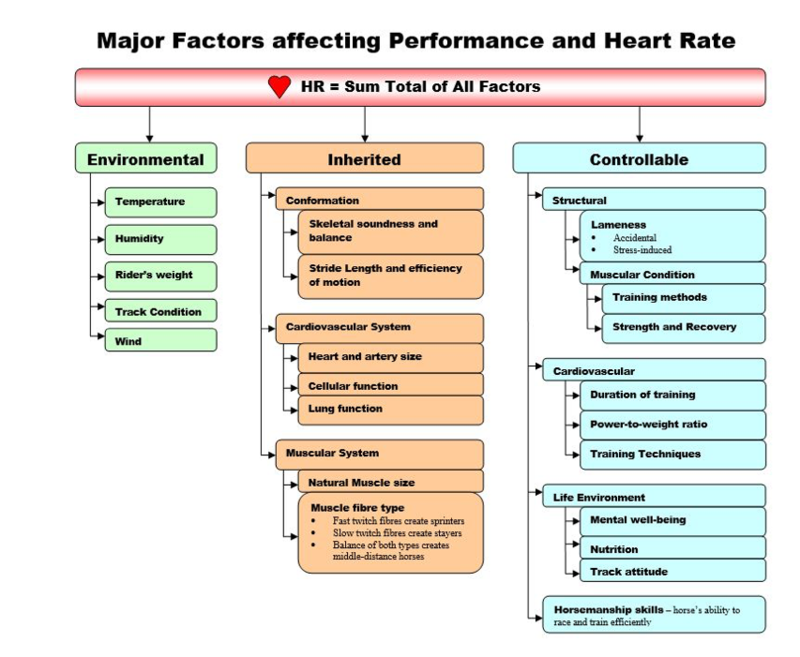 The Major Factors affecting Performance and Heart Rate. 2. Assets of an Athlete, how variations in the factors (or assets) affect the potential and the type of athlete they are. 3. The “TANKS” of the equine athlete, why are some horse’s sprinters, middle distance or stayers? 4. And ultimately the difference between low class and high quality gallopers. The following numbers and charts are not to be taken as scientifically proven, they are more a way of thinking. I have found this concept allows the trainer to more clearly understand the WHY and HOW of what is an athlete. However, they do represent the basic theory of sports science that has been proven for many years. There is much more knowledge to be learned, but this is a document designed to create awareness. What allows one athlete to outperform another? (1) Inherited assets such as skeletal design, the cardiovascular system, muscle composition and cellular function. The athletic assets of a horse can be ranked as to the quality of each (say out of 10,). The approach of ranking a horse’s assets help explain away the mystique of the horse’s performance or lack of it. NOTE – This is a way of thinking, there are not exact numbers that you can specifically apply (YET). However, understanding that the SUM total of all factors/assets equate to the ultimate potential and type of the athlete is valuable knowledge. A) Have you ever wondered why a fantastic moving horse could never win a race? He probably had a small heart. And why that small filly with a poor action won five races, she had a large heart that could compensate for the stride weakness. B) Black Caviar and Makybe Diva would both score 99, yet they would not score 100, simply because neither could excel at the others perfect distance. Imagine a horse has TWO main fuel tanks, one anaerobic and one aerobic and together they determine the best distance the horse is suited to. With the horse having either a high to low percentage of each tank, 60/40, 80/20 etc. 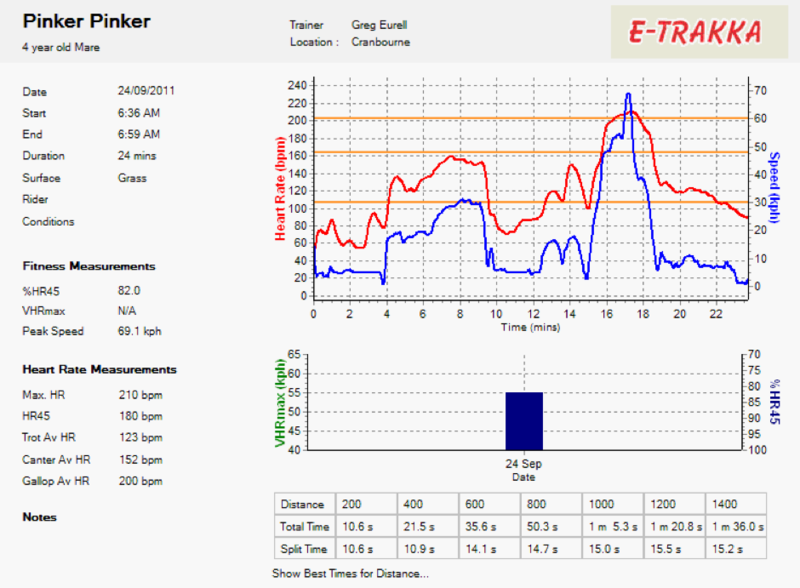 Pinker Pinker is an example of perfection which demonstrates large “tanks” via the E-Trakka reading. 1. Great peak speed, the ability to travel with anaerobic power. 2. The last 400m sectional in 21.4, great anaerobic energy supply. 3. The low maximum heart rate indicates low pressure for an otherwise strong workout. 5. She went on to win the 3 million 2011 WS Cox plate four weeks later. 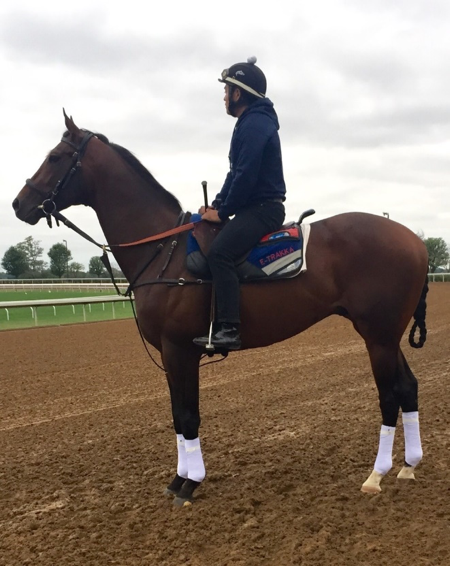 2020 Racehorse Training principle’s, that is more clearly seeing and understanding the athlete’s capacity at any given moment are interwoven with the above notions. An athlete is a combination of key functions, heart, lungs, muscle type and structure. The quality or efficiency of their assets determine the quality of the athlete. The quality of all functions x the muscular cell types determines the ultimate quality of the athlete. I encourage you to study the downloadable document for it could be the start of an amazing learning journey for you. Once you stop learning, you start dying – Albert Einstein.